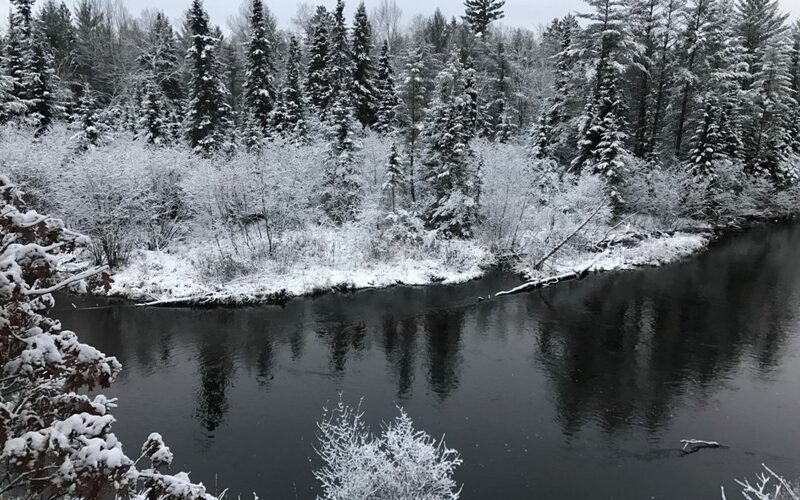 Yesterday is today: it has been a monotonous week of winter on the Au Sable. Snowstorms are exciting, but the winter default is 20 degrees, gray, with a few snowflakes floating in the air. We have a couple inches on the ground, not enough to ski on. The rivers are ice-free and the fishing has been pretty good this week the few times we’ve been out. The trout are pretty easy to find in the winter. They favor slow, deep water. Some of this water is easy to fish, and some is not easy at all. 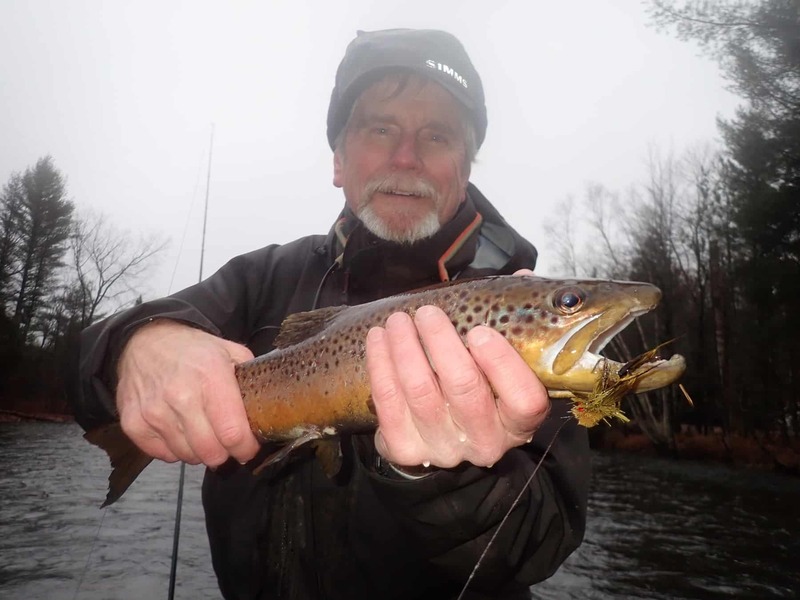 The easy spots become well-known among the small troop of winter anglers. I had donated a trip to our local TU chapter and on Sunday we launched into a perfect day: 33 degrees, cloudy, slight wind, slight drizzle. At the boat launch there was a good trout — say 16 inches — nymphing on the sand that we ignored, at my direction, and at our peril. We didn’t touch a fish for the first two or three hours. The temperature dropped, and then the trout began to eat. As usual, the key was to find the pace of retrieve the trout wanted. Off-yellow and black, fished on sinking lines. We’ve also been catching fish nymphing and swinging streamer spey style, a technique I plan on returning to this winter. I used to go out almost every afternoon and swing streamers for trout…sometimes with spectacular results. Or at least that’s how I remember it. We are updating our winter calendar. We have a lot of great activities planned for the off-season, including dinners and breakfasts, increased fly tying classes, and more open rooms. Time to start planning a weekend. 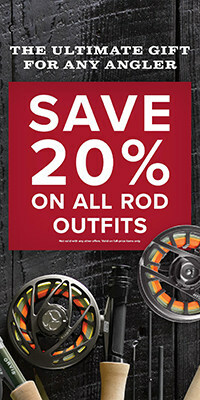 Orvis is advertising 20% off all rod outfits (rod, reel, line). This is a great time to get everything for what can be significant savings. We will load the reel with the line of your choosing and ship it right to you…fast! Please email [email protected] or call the lodge at 989 348 8462 for details, queries, and so on. We are donating 1% of all tackle sales between November 20th and March 1st to help defray some of the start-up costs to the new Grayling Fish Hatchery.